Hello friends; it is a new week and I feel much better. I hope your week started off great too. Over the weekend, I had a meeting at Tiffany and Co. for an upcoming event. 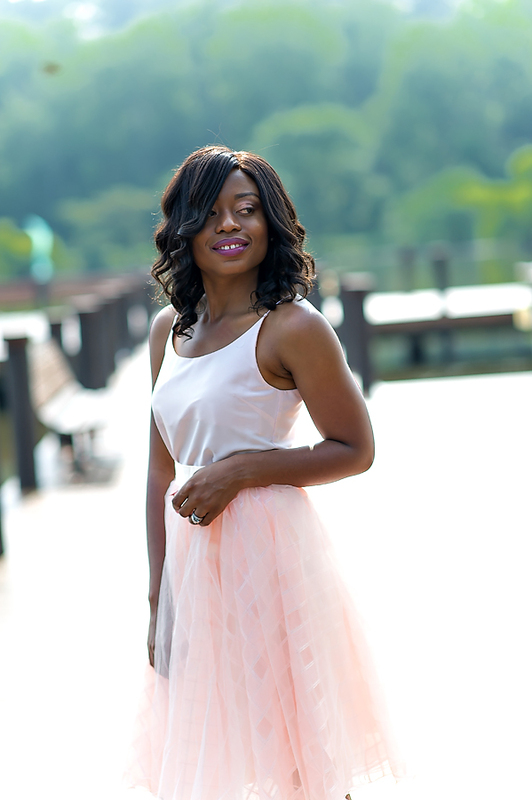 Today's post features this whimsical "Belle Lacie" tulle skirt from Space 46 Boutique. I previously wore another item from the boutique (as seen here). 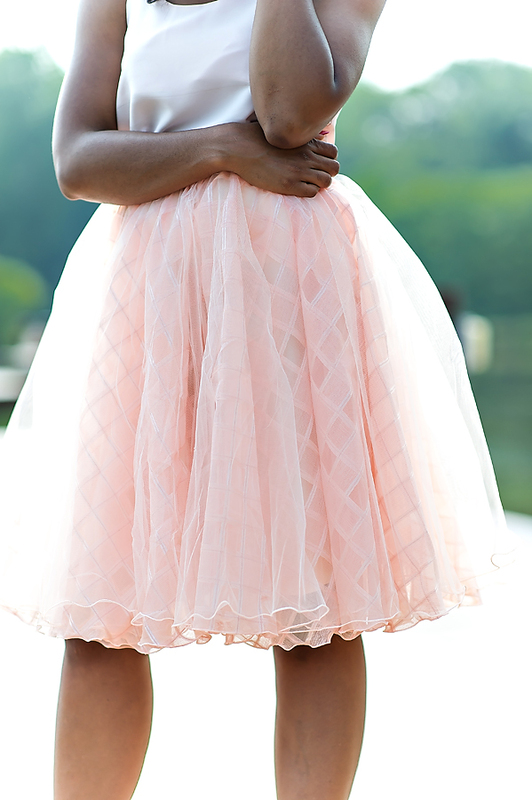 I love their tulle skirts and for this post, I went for a shorter length skirt. 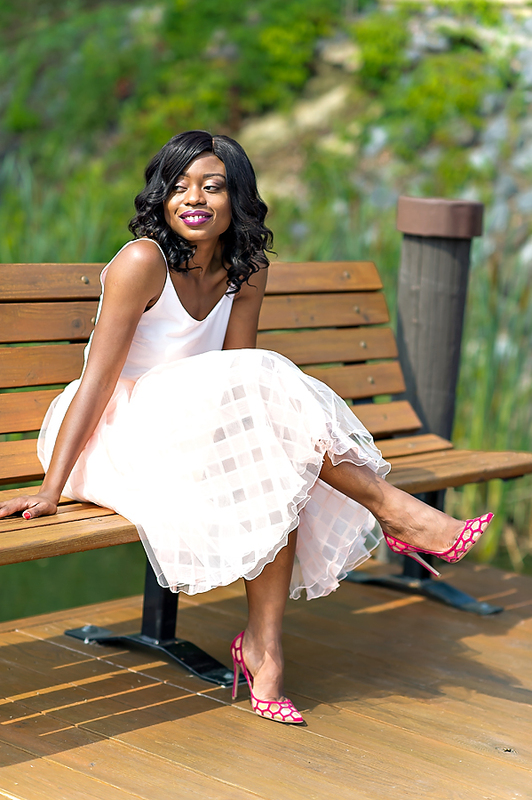 The square patterns, peekaboo lace and pastel shade caught my attention and it is a perfect outfit for a wedding, garden party or a relaxing engagement. I completed the look with a light pink cami and bright pink pumps. I love the outfit. The skirt is gorgeous. Full skirts are still winning! You look lovely as always, Stella. The colors of this outfit are so fresh and sweet! Loving the fabrics and the fabulous heels! You look lovely as always dear. gorgeous outfit as usual! I LOVE the shoes! so classy I love it! !